So, we cross the road and enter into the Royal Palace. The Royal Palace was the official residence if the Kings since 1782 and has been renovated often to preserve its grandeur. 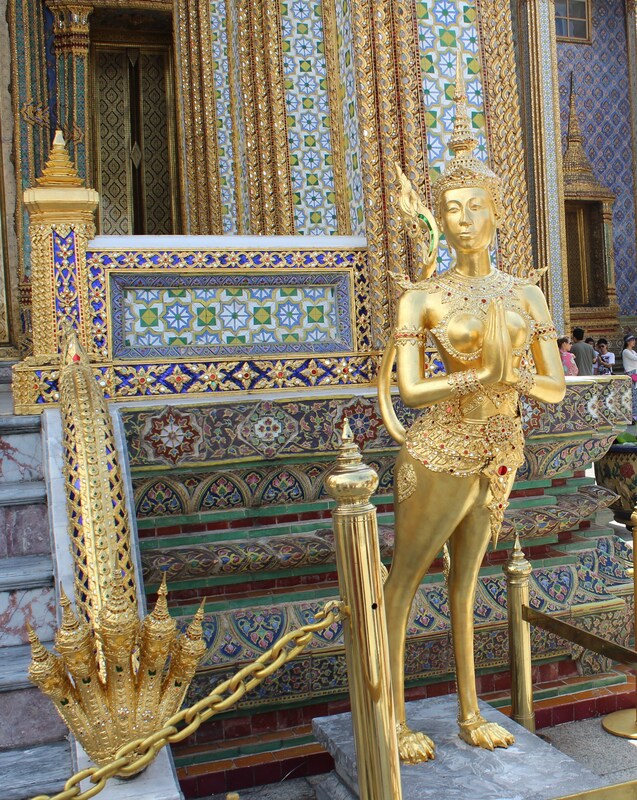 Though the Royal Family does not reside here, it is open for public view and is used for ceremonial purposes. Most of the buildings inside the Palace complex are closed to the public. As we walk inside the long palace path, we come across three strikingly beautiful towers. 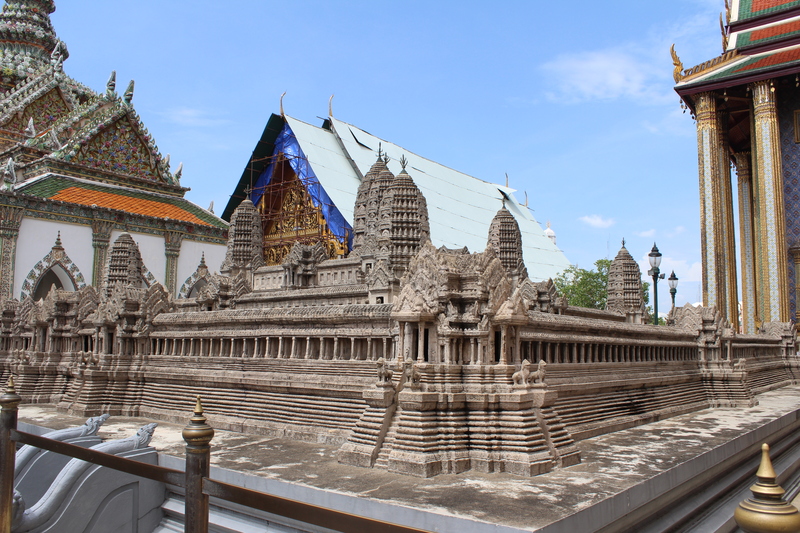 These represent three different styles of temple architecture – Srilankan, Thai and Khmer. The golden stupa to the left representing19th century Srilankan, the middle pillared tower representing Thai and the right representing Khmer Architecture. The Srilankan Stupa is worshipped as the most sacred of all the three towers as Buddha’s relics – a piece of Buddha’s breast bone- are preserved here. 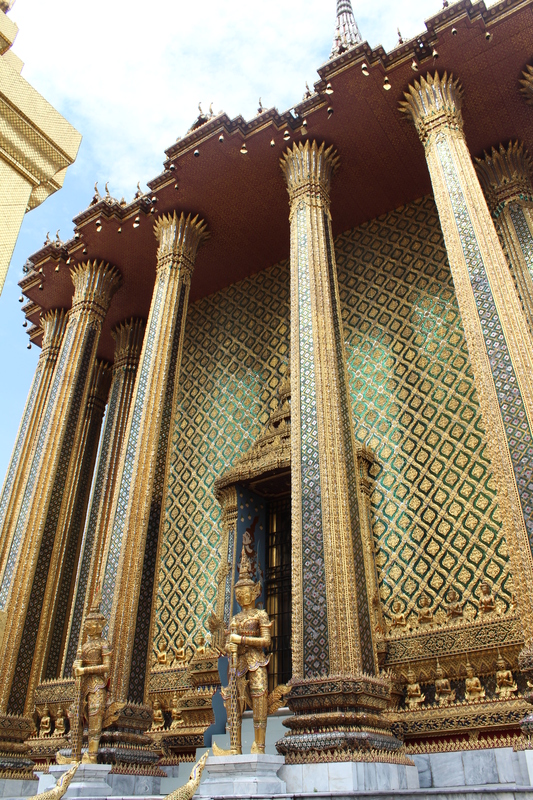 The intensely ornate Thai style architecture Library which contain sacred Buddhist manuscripts. The Ramakien (รามเกียรติ์, “Glory of Rama”, sometimes also spelled Ramakien) is Thailand‘s national epic, derived from the Hindu epic Ramayana. In Tamil, Ramayanam is called ‘Kambaramayanam’ – Ramayanam written by Poet Kambar. Kambaramayanam occupies special place in the history of Tamil Literature for its distinct literary presentation and delivery of emotions through crisp language skills – by the ‘King of Poetry’ – Kavichakravarthy Kambar as he is hailed. Kambar adopted Valmiki’s original Ramayana in the Tamil style, with changes made according to Tamil Culture. In other words, it is the re-telling of the story of Lord Rama without alienating from the Tamil lifestyle. 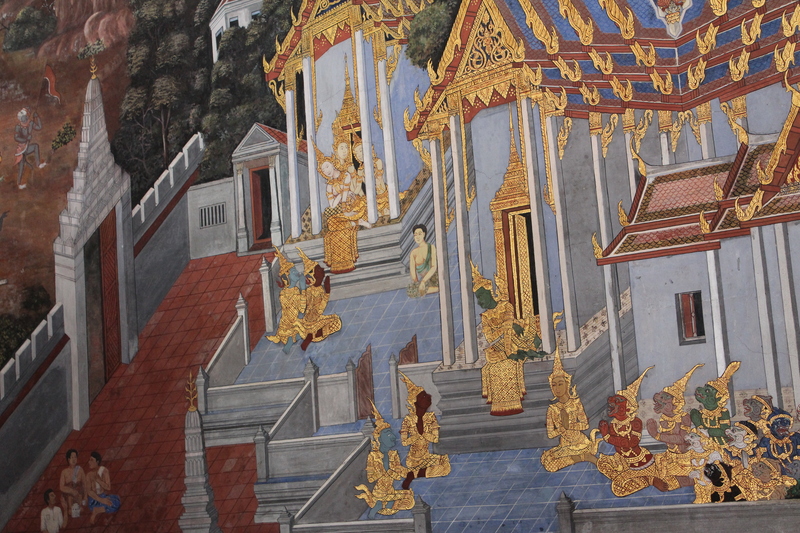 Scenes of Ramakien, the Thai version of the Ramayanam decorates the walls in the Royal Palace Complex. 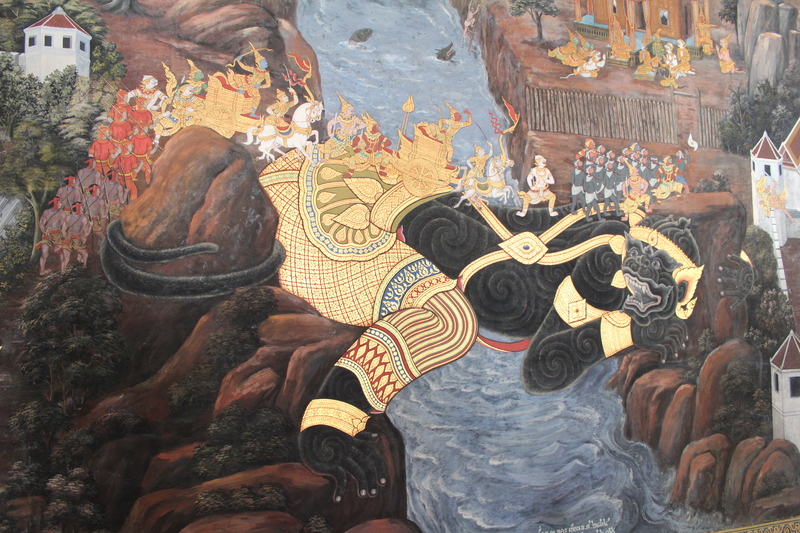 Is this Hanuman helping Rama’s force cross the sea to Lanka? 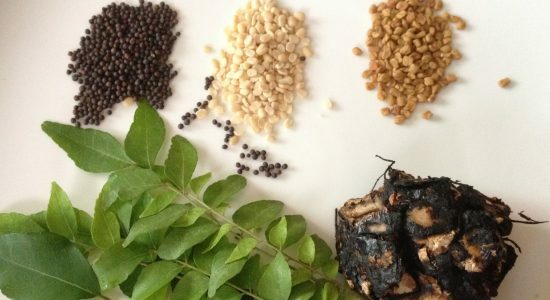 This Kinnaree is an exclusive one – body of a female and legs and tail of a lion! Please do let me know if she is also a Kinnaree or has any other specific name in the mystical world. and her counterpart – half male and half lion – our guide mentions he is also called Narasimha – the sanskrit word for man and lion. And the exclusive Naga – Snake – with the head of an apsara – devine female and body of a snake… The usual Naga has the head of a demon and body of a snake – our guide tells us! 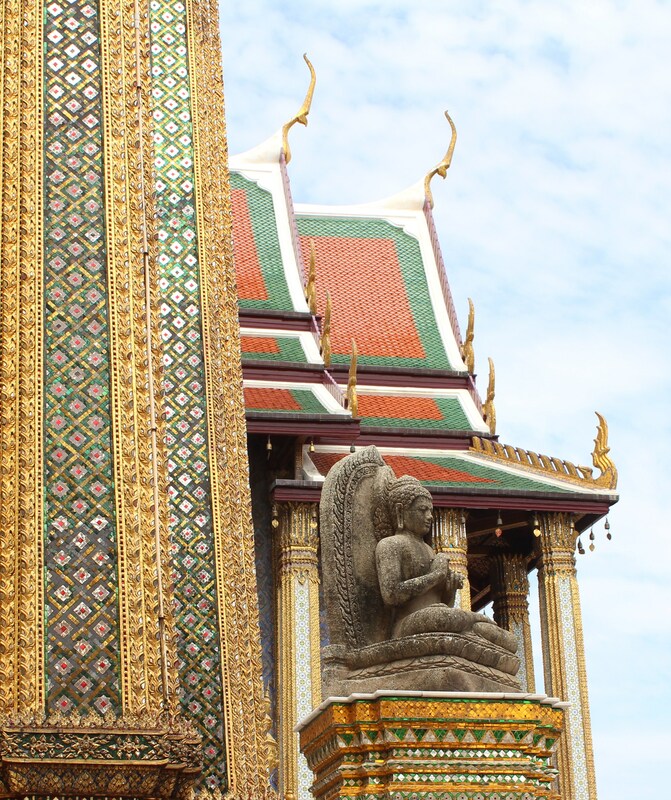 Wat Phra Kaew is considered the most sacred of the Buddhist temples in Thailand. The statue of Buddha is just over 2 feet tall and no photographs allowed from inside the temple room. 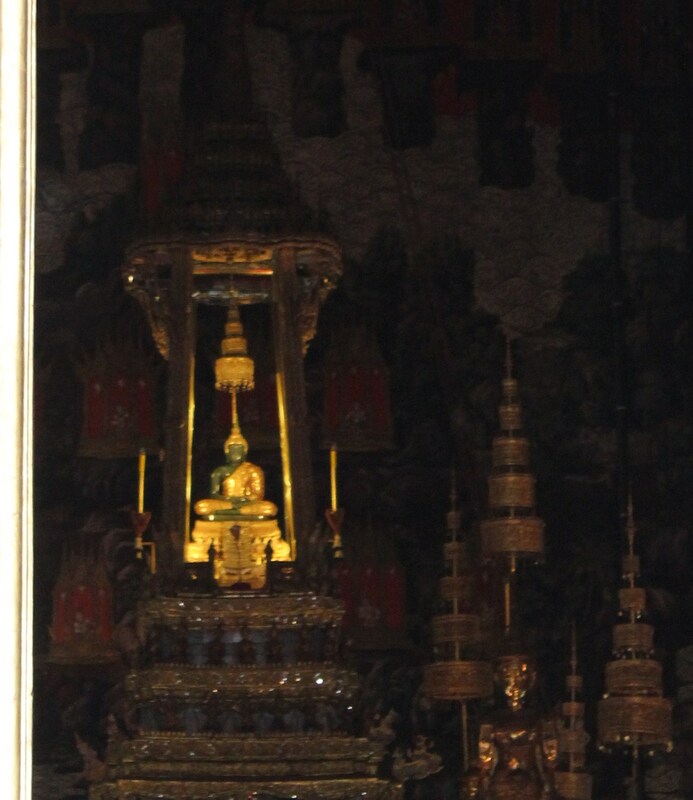 Buddha is seated in a well crafted shrine, glittering in gold. 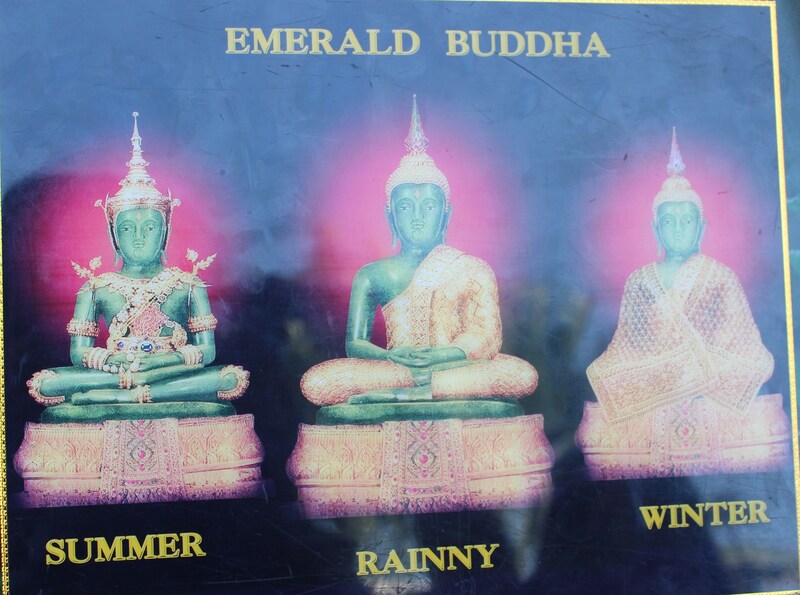 The Emarald Buddha is adorned with different costumes three time a year – summer, winter and the rainy months of the year. Only The King touches the statue and changes the costume of Buddha. 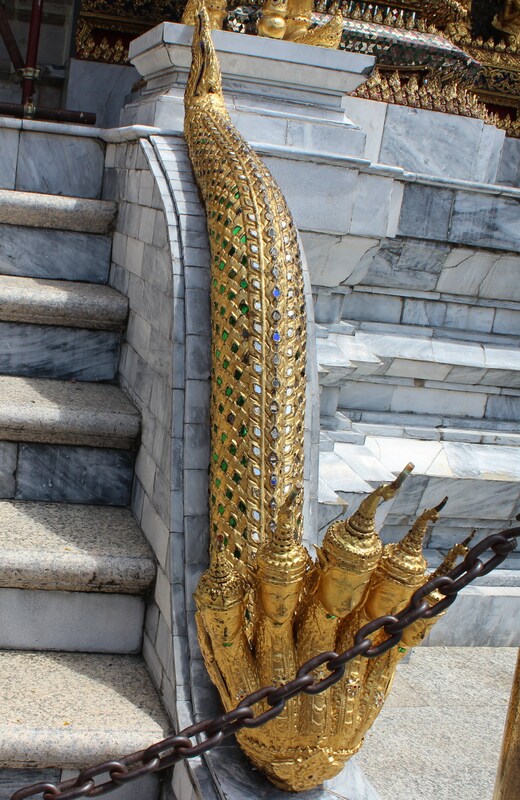 Then we proceeded to the Grand Palace Grounds – the different Halls, added and renovated by successor Kings. 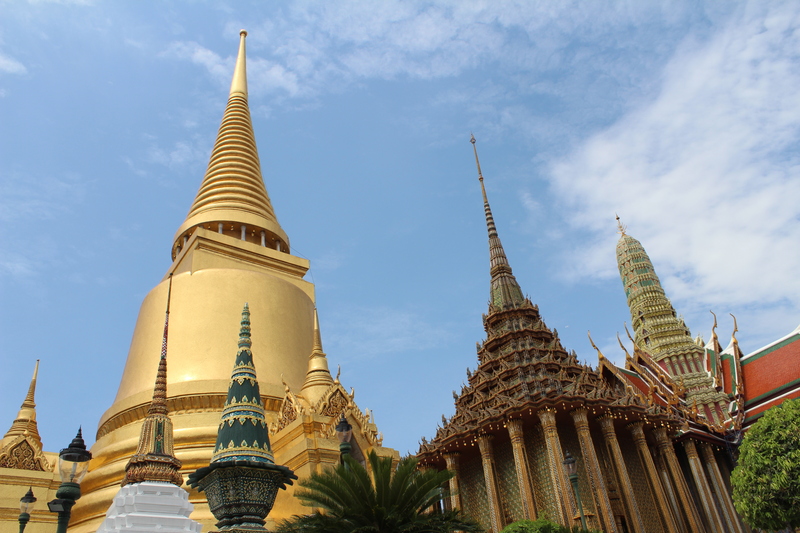 Ancient Buddha stupas, Temples and Murals from literature, Ornate Temple Architecture in glittery gold – and a Palace Hall with a European touch – visit to Grand Palace has been an enthralling majestic experience. The shine of gold in bright sunny daylight and the master piece architectural beauty cannot surely be captured in one’s camera. The efforts put to safeguard these important symbols of culture and literature – the endless renovation works being carried over are truly commendable. I would never miss another chance to visit again! 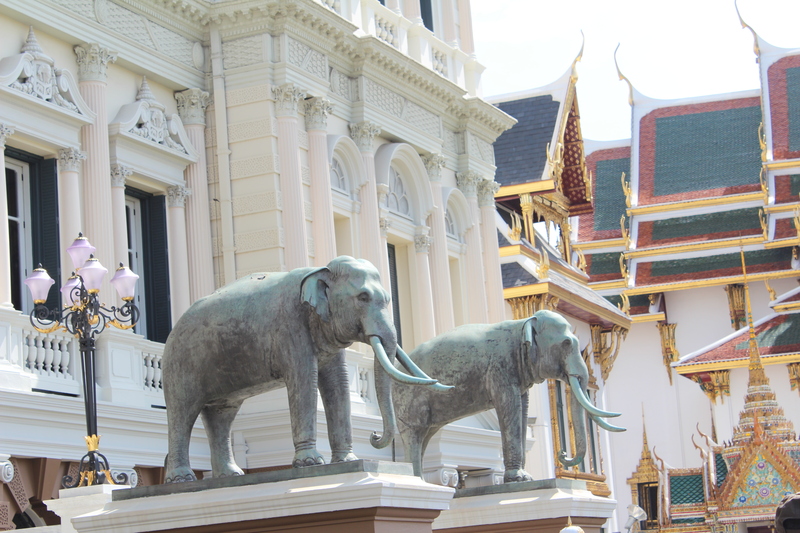 Previous Post Bangkok – An Architectural Splendour!